Is Gender Pay Inequality a Concern in US? Or is it? Do women really care? Is it just another show in Washington? Well, grab your bag of popcorn. The show is about to begin, and promises to be interesting. Republicans are overwhelmingly against a policy to change the status quo; they don’t even want to bring gender pay gap to a vote in the House. Democrats are all for it. They promise to fight like hell. I did say the show will be interesting, didn’t I? The fight for Gender Pay Equality is not new; subtle or overt, Pay Inequality has permeated our society at every level. The inequality exists between Whites and Blacks, Whites and Hispanics, Blacks and Asians, Hispanics and Indians and so on. It should therefore be no surprise to anyone that such inequality exists between men and women. Ironically, human resources –in most companies – which are usually staffed and headed by women, have contributed a great deal to keep it this way; they’ve drafted workplace guidelines and rules, among which is the prohibition of wages discussions with others, an important factor in the perpetuation of the inequality problem. What’s surprising however is how slow and unwilling US has been to implement policies to change the status quo. Most European countries including small and young countries such as Latvia, Slovakia, Lithuania have “Equal pay for equal work” included in their labor code. Despite the initiative taken by Obama, supported by Democrats, to “right the wrong”, there seems not to be an outburst from women, with a few exceptions of course, Senator Barbara Mikulski being one. Do women care they get paid less than men? If they do, they sure have a passive way of showing it. Perhaps, Republicans are right to avoid bringing the topic for a vote in the House. As both genders know, when women want something, they have ways to get it. 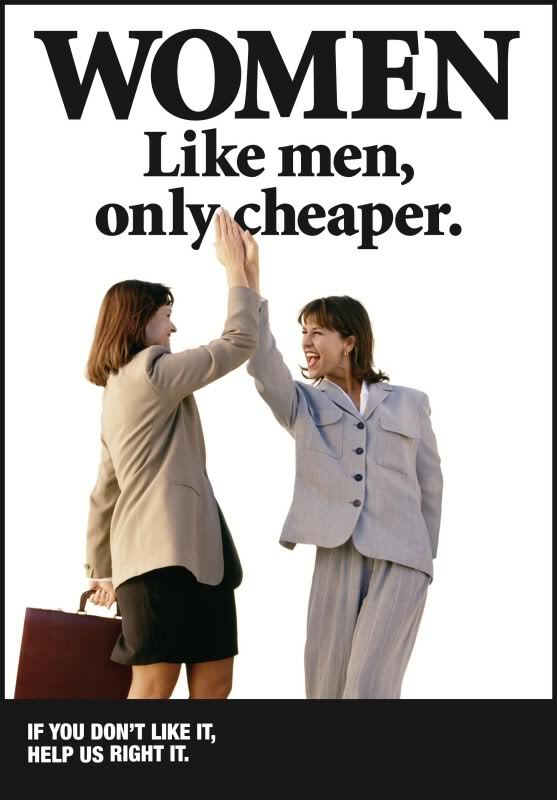 “Equal Pay for Equal Work” may not be one of the things women want; at least, not now dear! Does “Equal for Equal Work” matter to you? Do you care?